Company Events — Feel Good About Looking Great! Our company takes pride in getting involved in the community to give back to the youth. Every year ZayeDella Products hosts a Black History Extravaganza in celebration of the pioneers, innovators, and leaders who made an major impact in history. This event showcases local Step Teams & Dance teams on the Main Stage. To add a twist to the event we also have incorporated a Natural Hair Runway Showcase to feature hairstylists who are in the Natural Hair Industry. 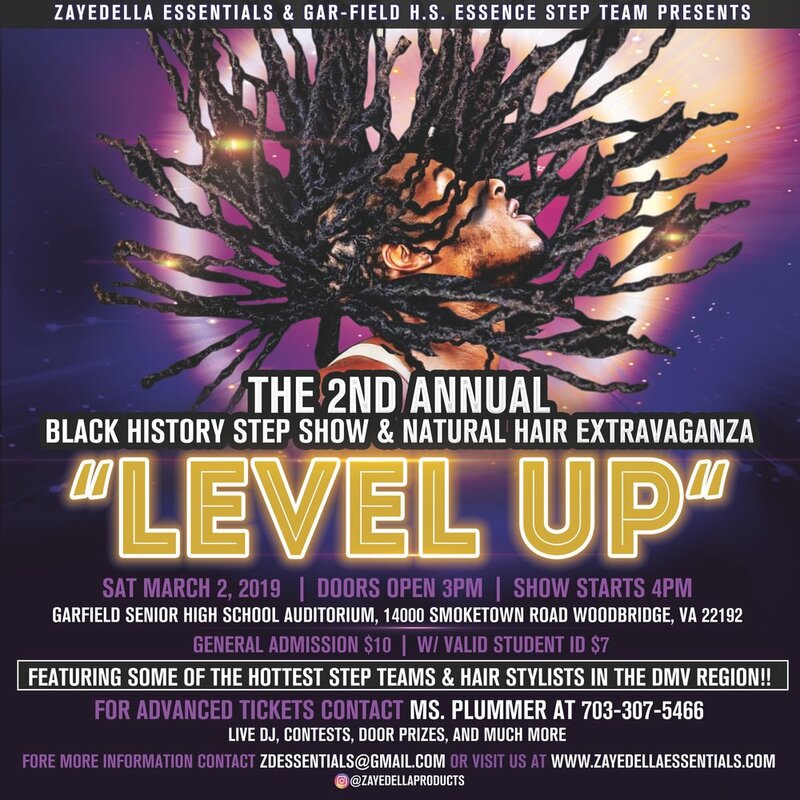 We have teamed up with Gar-Field "Essence" Step Team this year to present the 2nd Annual Black History Step Show & Natural Hair Extravaganza this year in Woodbridge, VA. Proceeds from this event is to raise money for Essence Step Team.